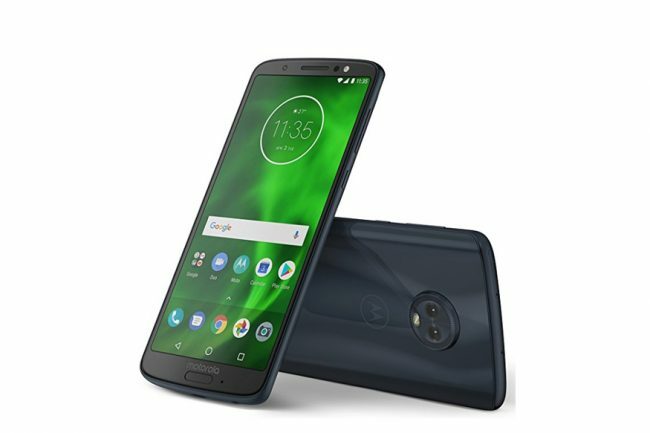 Motorola has launched today its mid-range smartphone, Moto G6 Plus. USP of this phone is its Full HD+Max Vision Display, 6GB RAM, Dual rear cameras and 16MP front facing camera for selfies. The Moto G6 Plus flaunts a 5.93 inch (2160 x 1080 pixels) Full HD+ Max Vision display with an aspect ratio of 18:9. It has protection of Corning Gorilla Glass 3. This phone is powered by 2.2 GHz Octa-Core Snapdragon 630 chipset with Adreno 508 GPU. It comes with 6GB RAM and 64GB of internal storage which can be extended up to 256GB via microSD card. This phone is packed with 3200mAh battery with TurboPower 15w charging for faster charging. For photography, this phone is equipped with 12MP rear primary camera with LED Flash, Dual Pixel autofocus, 1.4um pixel size, HDR and 4K video recording at 30fps and 5MP secondary camera. For selfies, it is armed with 16MP front camera with LED flash. This phone also has Face unlock and QR code scanner. It also has Google lens integrated into the camera software for seamless object and landmark recognition. This phone also comes with Moto features such as Moto Actions and Moto Display. This is Dual SIM phone and runs on Android 8.0 Oreo. This phone has fingerprint sensor on the front. This phone also has water-repellant nano coating. For connectivity, it provides options of USB Type-C port, 4G VoLTE, WiFi 802.11 ac, Bluetooth 5 LE, GPS, GLONASS, NFC, Front loud speaker and Dolby Audio. This phone comes in Indigo Black colour and is priced at INR 22,499. It will be available at all leading mobile stores across the country and exclusively online on Amazon.in.